The last component of the renovation was implemented the Monday of Thanksgiving week, just days before the Thanksgiving Eve party: the fireplace surround. 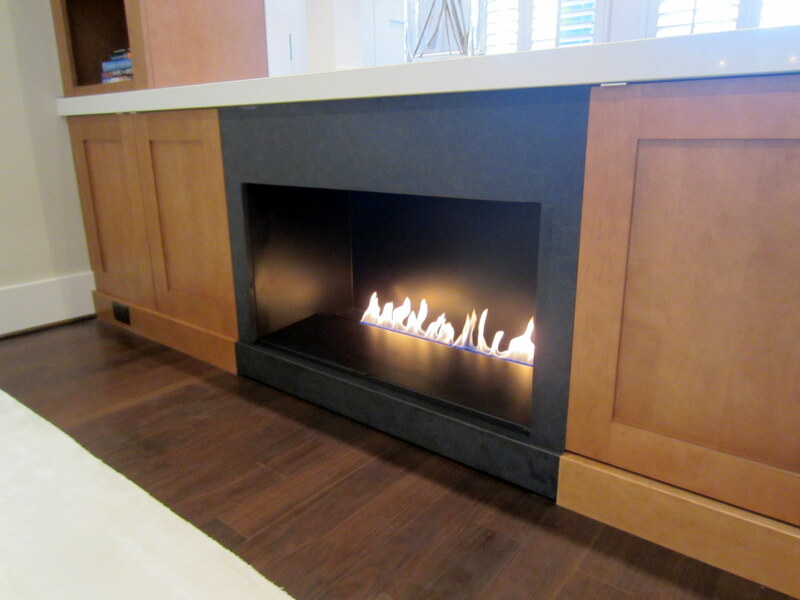 The fireplace itself was installed in July, as documented in this post. 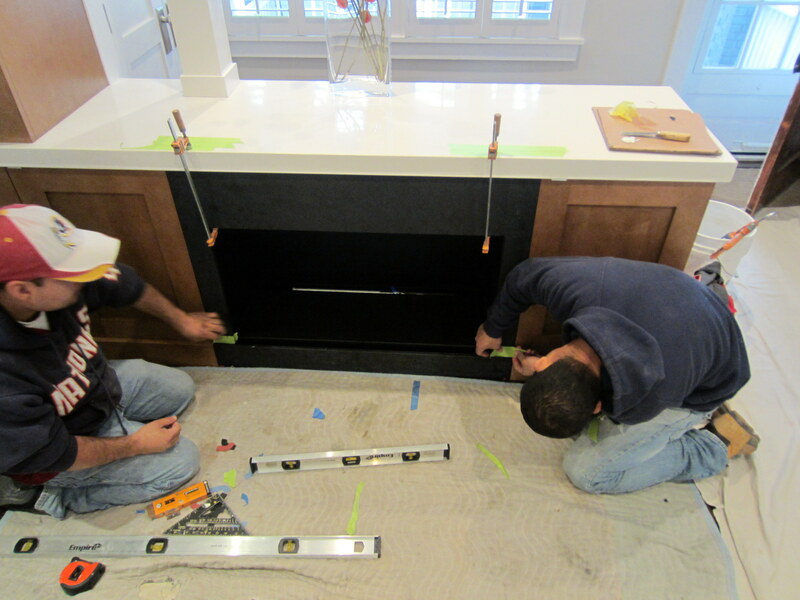 After the counter top over the fireplace built-in area was installed, we were able to move forward with installation of the surround. 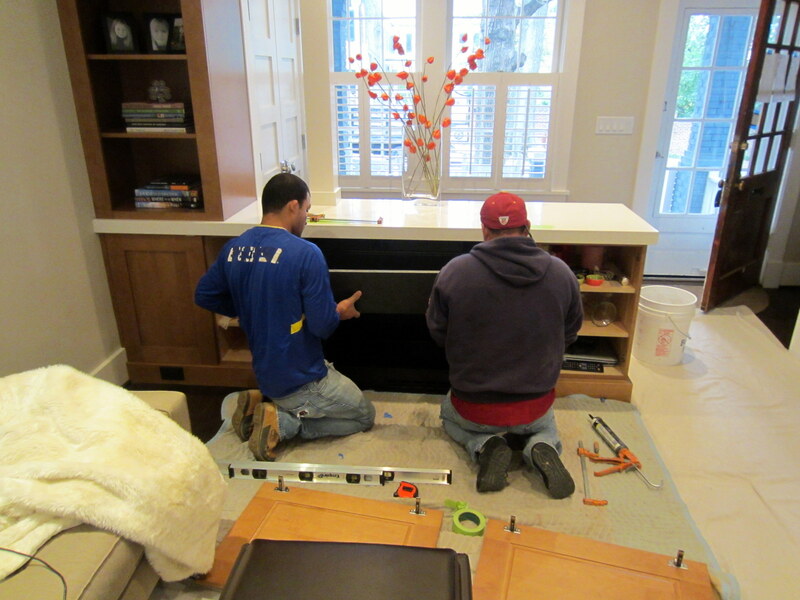 The guys from our neighborhood counter top firm ended up coming twice to install – the first time the surround did not fit perfectly, plus, the lead installer identified a structural enhancement that would address a stability risk that existed if we just adhered the face to the fireplace frame without any load-bearing by the floor. The finished product worked out perfectly. 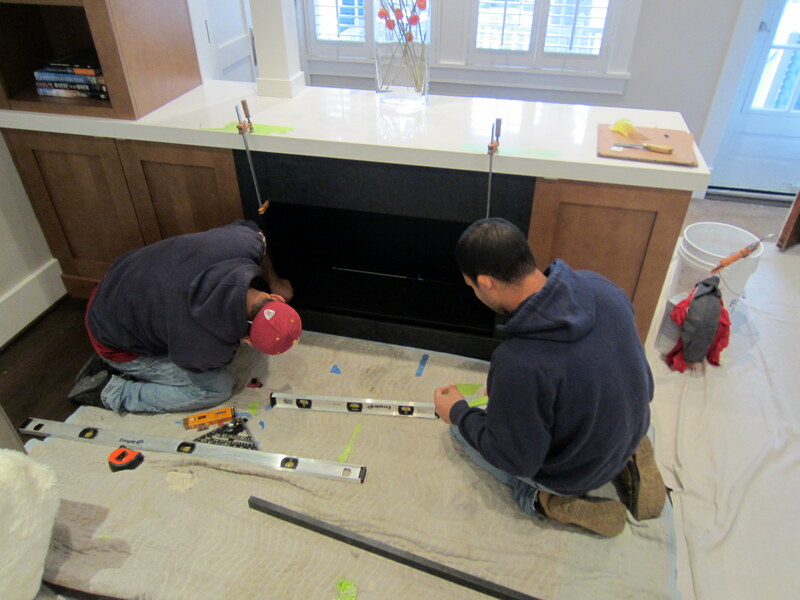 All of the new, stone surfaces are aligned with the existing wood cabinetry, exactly as designed. The functional element of the design referenced above was a 3/8″ gap between the bottom of the surround and the floor. 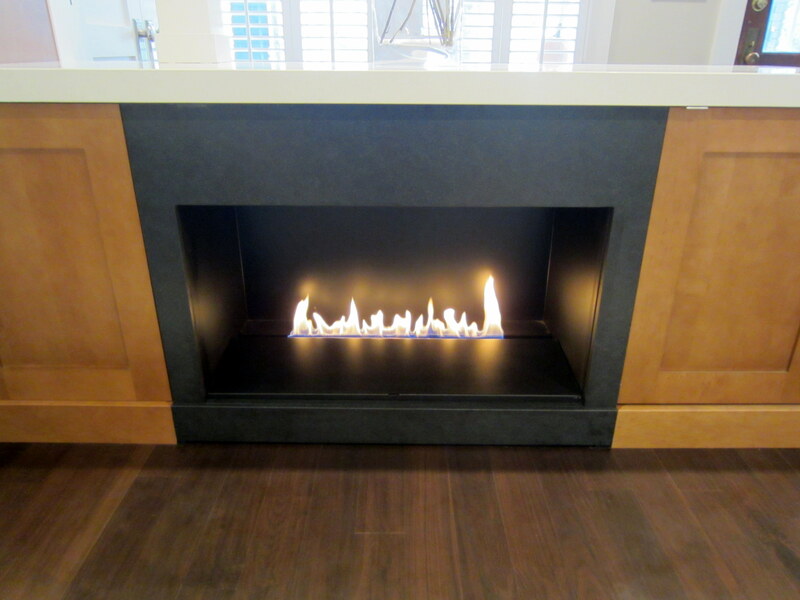 This subtle gap is sufficient to provide the oxygen supply to the gas fireplace without distracting from the overall aesthetics of the surround. been?? then that means the fireplace is facing ‘kitchen’–so the other side doesn’t get any benefit?? Hey, Sandy – the door you’re looking at is the front door, rather than the back door by the kitchen, so the fireplace is facing the living room (and kitchen) and only the vestibule does not benefit. All will become clear in our next post, where you’ll see the whole first floor.